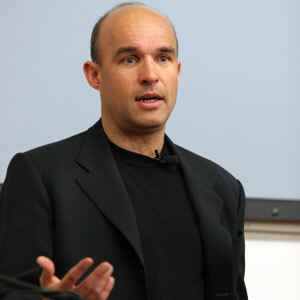 There is a big change coming in the way we listen to music and if RIM CEO Jim Balsillie has anything to do about it BlackBerries will be among the leading providers of mobile music in the near future. Clearly the maker of the CrackBerry is picking up the gauntlet thrown down by Steve Jobs last month when he unveiled the new iPhone with its graphically exciting iPod features. The music industry again seems to have been caught napping by changes in the way the internet and digital communications are evolving. Late onto the downloading bandwagon they are again scrambling to catch up to the proliferation of mobile communication devices. The indication that RIM is not interested in joining the increasingly complicated milieu of DRM technologies, is bad news for the entertainment business which has thrown its weight behind DRM in an attempt to prevent online digital piracy. RIM who primarily sells wireless technology to businesses and government, has moved into a broader market with its first consumer device, the Pearl. It’s a market that RIM want to expand into and mobile music players and cameras are add-ons that are attractive to the consumer marketplace. RIM expects to add one million new BlackBerry users this quarter and will likely announce deals to bring music and other content, such as picture messaging, to its new consumer BlackBerries before the end of this year.